We manufacture personnel bailout systems for altitudes ranging from 300 feet to forty thousand-plus feet. Our High Altitude systems are used by both civilian and military pilots world-wide. 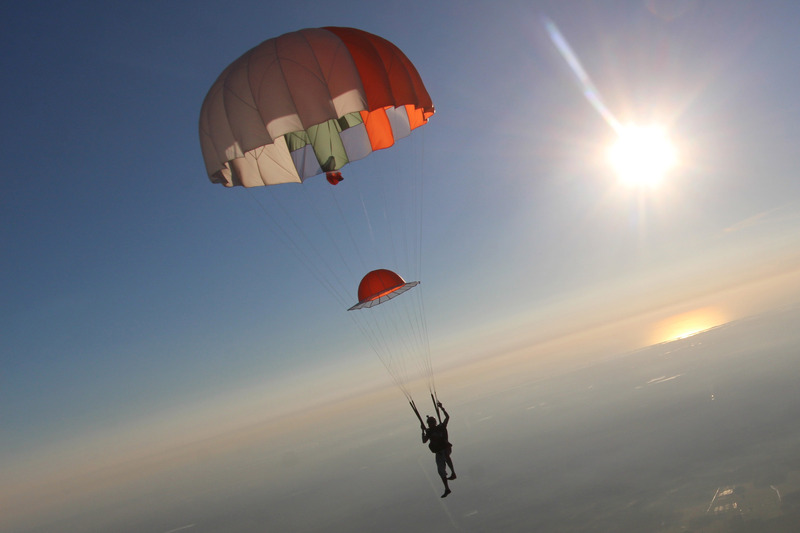 The pack is custom made per customer specifications and is available in either a back, seat, and chest-style parachute. Our High Altitude systems come standard with a canopy release system, an oxygen bailout bottle, and a state-of-the-art CYPRES automatic activation device. A full complement of comfort and survival options are available. Our rugged harness and our high speed canopies will maximize your chances of survival during a low altitude or high altitude egress. Our personnel systems are equipped with our HX high-speed canopy featuring our patented BAT™ Slider technology. This unique design enables the canopy to withstand much higher weight and speed loads than any other canopy on the market.